You know what, its sunny again today! Wow! So again we took the car for a spin and visited a little bunch of vintage shops and thrift stores. And therefore I present to you the catch of the day (again): This time I found some embroidery stuff. 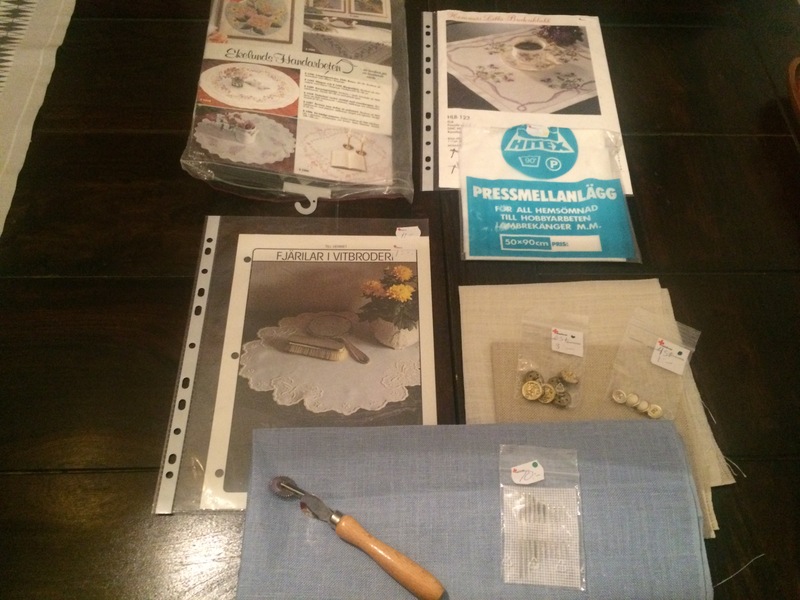 I’m learning how to cross stitch (yes, I do have to learn such a simple thing) so when I found re-heally cheap stuff for that I was happy! Yay! Me and all the grey-haired old ladies. 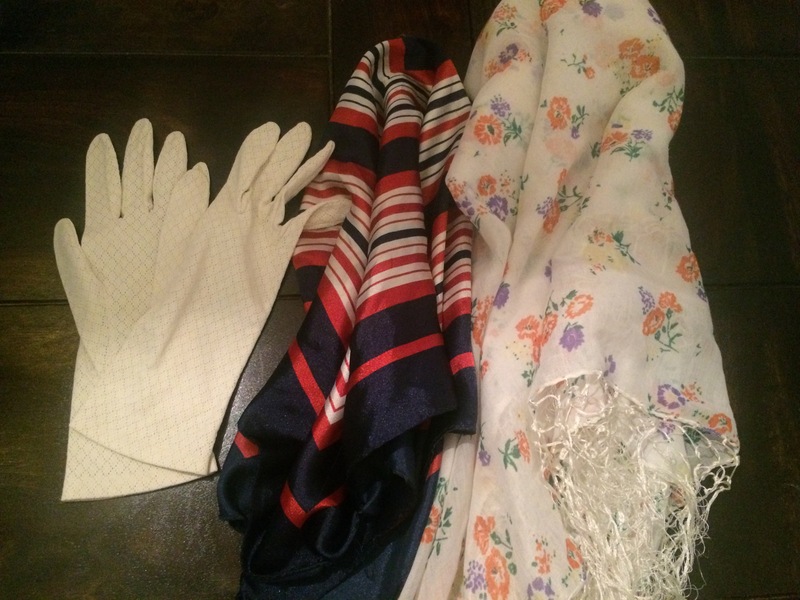 And a couple of scarves and a pair of gloves. I got even more, just have to take pics of that too. I’m really slow that way, other people takes pictures of everything they do or see, I’m NOT like that. Even on vacation I forget to use the camera. You know, I was there so I know what happened. I just love going to places like these, there is always some little treasures although you don’t make the find of your life. And now I am officially broke.